Block Lauren - SERIESous Books? This will prevent Lauren - SERIESous Books from sending you messages, friend request or from viewing your profile. They will not be notified. Comments on discussion boards from them will be hidden by default. Sign in to Goodreads to learn more about Lauren - SERIESous Books. Gah!!!! I'm so in love with this series so far! I love the tension between Kai and Enzo! Their attraction to each other just leaps off the pages. Enzo makes me swoon whenever he looks at her. I adore his character so much. He is unlike any alpha hero Gah!!!! I'm so in love with this series so far! I love the tension between Kai and Enzo! Their attraction to each other just leaps off the pages. Enzo makes me swoon whenever he looks at her. I adore his character so much. He is unlike any alpha hero I've ever read. And I love how Kai is his match in every way. And the drama! So addicting. There have been so many great twists along the way that I couldn't put this book down! I wasn't overly impressed with this book. I will say that the reverse harem didn't bother me as much as I had anticipated. I just craved more from the characters; they needed to be fleshed out more. And while Shawn and Knox had good chemistry, I thoug I wasn't overly impressed with this book. I will say that the reverse harem didn't bother me as much as I had anticipated. A great way to bridge the two books following the events of the first book especially. For me, it was a great way to reorient myself into this world I've been away from for years. This was an interesting bridging novel. I really had no idea how things were going to turn out until the very end...and I still dont really know. The first half of the novel follows the mundane life of Natalie as she tries to find herself once again i This was an interesting bridging novel. I really had no idea how things were going to turn out until the very end...and I still dont really know. The first half of the novel follows the mundane life of Natalie as she tries to find herself once again in the upper east side. While there is an air of "something isn't right here", I really craved more drama when it came to the plot. I think I want this store to be more complex than it is. But it was a refreshing bridging novel in a trilogy that follows the same two people. Lauren - SERIESous Books has read 49 of 200 books. Lauren - SERIESous Books read 229 books of her goal of 190! Lauren - SERIESous Books read 240 books of her goal of 175! Lauren - SERIESous Books read 260 books of her goal of 175! Lauren - SERIESous Books read 233 books of her goal of 150! Lauren - SERIESous Books read 225 books of her goal of 125! Lauren - SERIESous Books read 160 books of her goal of 160! Lauren - SERIESous Books read 207 books of her goal of 200! 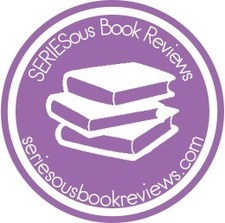 Take a look at Lauren - SERIESous Books’s Year in Books. The good, the bad, the long, the short—it’s all here.